The South African Government appeals to communities and citizens to stop attacks on foreign nationals. In addition to the human cost, the attacks damage the country’s reputation and development, and ignore migrants’ contribution to our society, as a new booklet explains. The South African government appeals for peace and tolerance following the recent violence against foreign nationals. Click image to download the booklet. For leaflets in other official languages, click the links below. 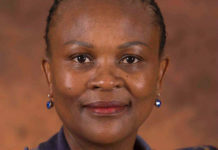 Following the recent shocking and unacceptable incidents of violence against foreign nationals in Durban, KwaZulu-Natal and Johannesburg in Gauteng, government appeals for peace, tolerance and restraint. South Africans are generally peace-loving and friendly people. South Africans at all levels – from the President to citizens – have condemned and rejected the violent attacks on foreign nationals in our country. These terrible acts of violence were perpetuated by a few misguided people. Citizens from across the continent supported our struggle for freedom and liberation. They made immense sacrifices to provide safety and refuge to our people in exile, including our leaders such as former President Nelson Mandela. Government is working together with all stakeholders to stop and discourage attacks on foreign nationals. • The government urges all South African citizens to support efforts to stop the attacks on foreign nationals. We cannot allow attacks on foreign nationals in our country. 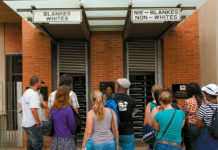 • South Africa is internationally renowned for using dialogue to solve differences and problems peacefully. As a peace-loving and law-abiding nation, we must use this noble approach to deal with our problems instead of using violence. • The South African government is receptive to people’s needs and urges all citizens to use relevant platforms to express their concerns and frustrations, including talking to elected officials in their communities. • Anger and violence will never provide sustainable solutions to challenges, but will only bring strife and suffering. 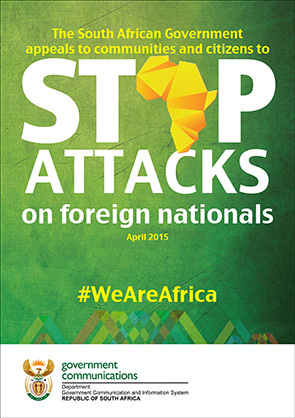 • We appeal to citizens to play their part in ending these attacks on foreign nationals. Please exercise restraint and calm, and express your concerns through the available channels. • Anger and violence will not take away your challenges, but will have a negative impact on the image and reputation of our beautiful country. 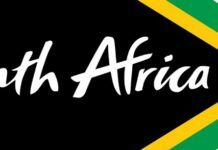 • Brand South Africa is the agency mandated to manage the reputation of South Africa while positioning the country as an investment and tourist-friendly destination of choice. • If South Africa has a negative reputation, it will impact on potential investments and tourism, the latter which is one of the largest contributors to job creation. • When violence causes our visitors to cancel their travel plans to South Africa, it impacts negatively on our country’s economic growth and development. South Africa belongs to all who live in it! What is the South African government’s position on the attacks on foreign nationals? Government condemns the violence in the strongest possible terms. No amount of frustration or anger can ever justify the attacks on foreign nationals and the looting of their shops. We appeal for calm, restraint and an end to the violence. Criminal elements should not be allowed to take advantage of the concerns of citizens to sow chaos and destruction. Any problems or issues of concern to South African citizens must be resolved peacefully and through dialogue. 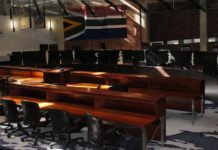 The police have been directed to ensure the protection of both foreign nationals and South Africans, and to arrest looters and those committing acts of violence. What does government expect South Africans to do? We urge communities to assist the police by providing information so that the perpetrators of violence and crime can be brought to justice without delay. Government will ensure justice for all and speed up the process of convicting criminals. While we strongly condemn the attacks, we are aware of, and are addressing some of the issues that have been raised by affected South Africans. We appeal to our people to support and protect refugees and asylum seekers. We urge all of you to exercise calm and restraint. We also urge people to refrain from using Facebook, Twitter and other social-media platforms to incite violence. We all have a responsibility to promote social cohesion, peaceful coexistence and good relations in the country. Foreign nationals help us to develop a cosmopolitan atmosphere and we welcome their presence. We also want to see an increase in tourism figures from African countries and to share business opportunities, as part of promoting sustainable economic development in the continent. 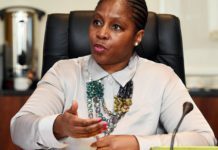 Sathola usizo emazweni amaningi ngesikhathi silwela inkululeko. What are the values that South Africa stands for? The attacks violate all the values that South Africa embodies, especially the respect for human life, human rights, human dignity and Ubuntu. Our country stands firmly against all intolerances such as racism, xenophobia, homophobia, sexism, etc. We reiterate our view that South Africans are generally not xenophobic because we have a high number of foreign nationals who have been successfully integrated into communities all over our country – in towns, cities and villages. We have been living and working together in harmony for years. It is misleading and wrong to label or regard all foreign nationals as being involved in crime in the country. Many foreign nationals are in the country legally and contribute to its economy and social development. Many bring scarce skills that help us to develop the economy and are welcome to live in our country. Others came to South Africa as refugees who fled from conflict or war in their own countries, in the same way that many South Africans left this country at some point to live in other countries in the continent and beyond. In this regard, government will continue to play its part to fulfil our responsibilities and obligations as members of the African Union and the United Nations (UN). Refugees and asylum seekers will be given support in line with international law and protocols, with the support of the UN High Commissioner for Refugees. What is South Africa’s position on immigration into the country? South Africa is committed to the free movement of people, goods and services within the continent. This free movement will enable the transfer of skills and contribute to the economic growth and development of African countries. The South African Government acknowledges that most immigrants in our country, particularly African immigrants, enter South Africa properly with documents and therefore are in this country legally. Plans are underway to establish the Border Management Agency (BMA), which will guard and protect our country’s land, sea and air borders, working in partnership with other state agencies. The BMA’s specialised capacity will create credibility for our border management mechanisms. What is the value of foreign nationals to South Africa? The South African Government acknowledges that most foreign nationals in the country make a very positive contribution to our society and economy. Immigrants contribute towards our country’s economic growth and development.They also supply critical skills and transfer their knowledge to, among other things, our healthcare and education systems. They also pay tax, which contributes towards expanding the national fiscus. Many nationals from our neighbouring countries travel to South Africa daily, weekly and monthly to buy groceries and other goods from our retail shops to sell in their own countries, paying toll fees on our roads and thus contributing towards the country’s revenue. By entering our country through our designated ports of entry as regular migrants, and by complying with both our immigration and other legislation, most foreign nationals contribute towards enhancing South Africa’s national security and ensure that we can manage and protect our visitors. We recently enhanced our migration legislation and regulations to be more effective in protecting South Africa by managing and minimising risks. Immigrants contribute towards nation-building and enhance social cohesion by bringing more diversity to our nation and creating more understanding of the diverse nature, not only of Africans but also of the peoples of the world. By having new groups of immigrants in South Africa in the recent years, we have become a more cosmopolitan country and our understanding of who we are as a nation has been deepened, based on the new complex dynamics that have enriched our nation. Immigrants have integrated South Africa into the global community and African immigrants in particular, have made South Africa an integral part of the African continent. South Africa is home to many foreign nationals and there are South Africans in fellow African countries. South Africans are better and more humane because of fellow Africans and peoples from other countries in the world who have chosen to live amongst us and make South Africa their permanent home. The only country that their children know is South Africa. What actions has the South African government taken to address the recent violence? President Jacob Zuma deployed the Ministers of Police, State Security and Home Affairs to work with the KwaZulu-Natal provincial government to end the violence and bring the situation to normality. The problem requires a much more comprehensive and sustainable long-term intervention. President Zuma has also mandated the entire Justice Crime Prevention and Security Cluster to work on this issue intensively, together with the Ministers of Social Development, Trade and Industry and Small Business Development. 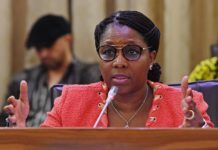 The security cluster and economic departments had been working on this matter, since the Soweto incidents in January 2015. The President also appointed an Inter-Ministerial Committee to systematically look at all aspects of migration in the long term. The President has directed all Ministers to work faster and to engage affected communities, organisations representing foreign nationals, business, non-governmental organisations and other stakeholders address all concerns. The objective is to prevent similar incidents by improving relations and promoting peaceful coexistence between citizens and foreign nationals. South Africa will also be seeking the cooperation and support of the affected foreign missions based in South Africa. The Ministers of Home Affairs and International Relations and Cooperation have met with African Heads of Missions. Afrophobia: Intense or irrational dislike or fear of black people and people of African descent. Asylum seeker: A person who has left his/her home country as a political refugee and is seeking asylum in another. Criminal activity (mugging, looting, etc): A criminal offence that is punishable by law. Discrimination: The unequal, unjust and unfair treatment of other people. Emigration: To leave one’s country and settle in another, in order to work and/or become a permanent resident. Foreign national: A person who is not a citizen of the host country in which he/she is residing. Immigration: To enter another country in order to work and/or become a permanent resident. Migration: Movement from one place to another with the intention of settling temporarily or permanently in the new location. Racism: The belief that each race has specific characteristics, abilities or qualities that distinguish it as being inferior or superior to another race. Violence against foreign nationals/Attack on foreign nationals: An act that causes physical harm or death to people who are not citizens of the host country.